Commissioning a custom work of art is an exciting and rewarding collaborative experience. It starts simply by contacting Cindy and telling her about your idea. People often come to Cindy with a photograph of a special place they want to honor - a window view from their childhood home, the picturesque backdrop of their wedding, or a scene from a treasured vacation spot. Businesses are often looking for regional scenes that reflect the community they operate in, or dynamic abstracts that will energize their public spaces. 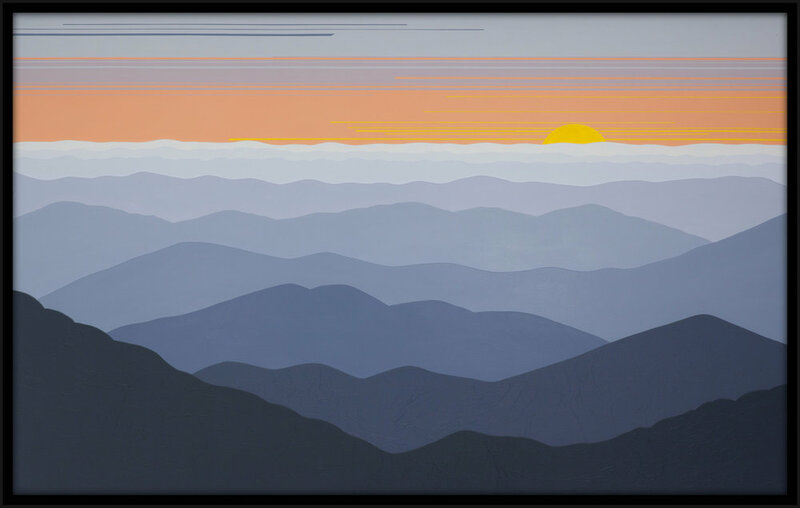 In both homes and businesses, a custom work of art is a powerful statement about connection and place. 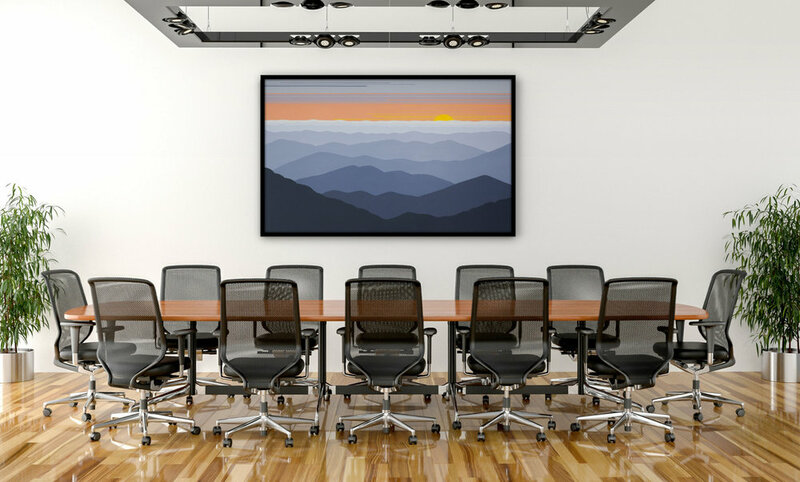 If you live in the Asheville area, Cindy can visit your home or business, take measurements and discuss customized options for your commissioned art piece. If you live elsewhere, a photograph of your interior, some simple measurements and a phone call or two will get the process going. 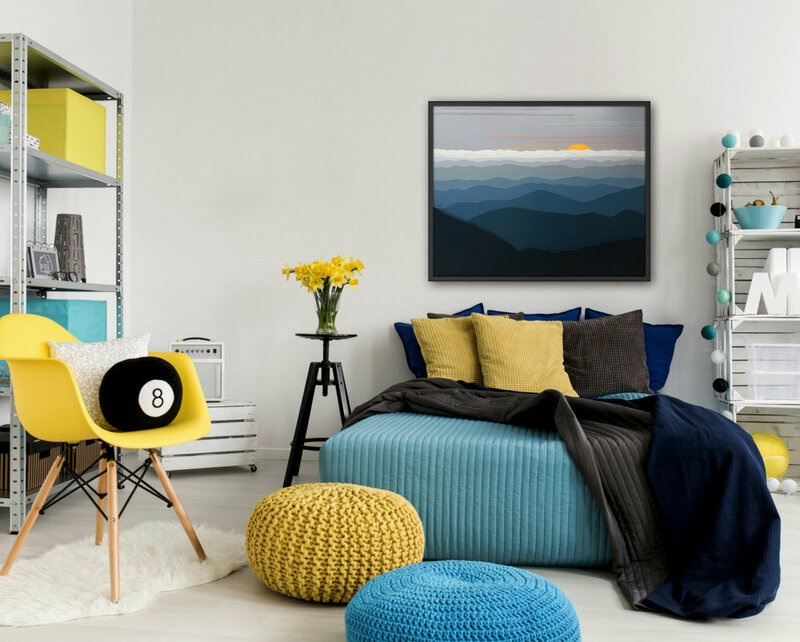 You will decide on the size of the artwork that is right for your space, a color palette, the design of your image, and the style that it will be created in (Acrylic on Canvas or Art Des Couches De Bois). Then Cindy goes to work. Before too long you will have a piece of art that reflects your unique style and makes your home or business memorable! Pricing is dependent on the style and size of the piece. A 50% deposit is required for work to begin. Visit 362 DEPOT GALLERY and see Cindy's "amazing colors" and "fantastic sense of design" firsthand. Learn about her distinctive Art Des Couches De Bois technique. Inquire about custom installation. And... discover Cindy's stylish and affordable line of GIFT & HOME DECOR items! All content is protected under the Copyright of CINDY LOU CHENARD 2019.